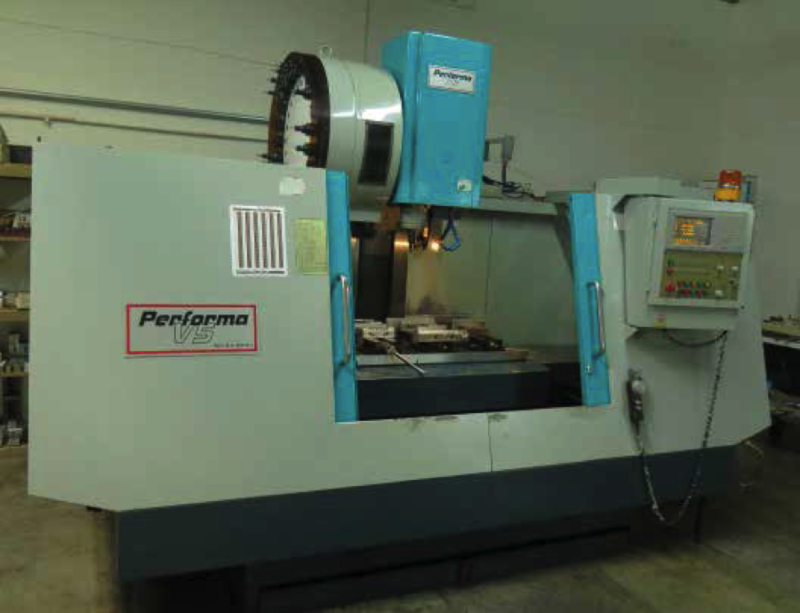 V5 1999 Akira-Seiki, Preforma V5 Vertical Machining Center, Mitsubishi Control, 99VNCNO30-15B 51″ x 22″ Travels, 8000 RPM, 24 ol Swing Arm ATC, SV800 2000 Akira-Seiki, SV-800 Vertical Machining Center, Mitsubishi Control, OOVG840-306 32” x 19” Travels, 10,000 SV800 2000 Akira-Seiki, SV-800 Vertical Machining Center, Mitsubishi Control, OOVG840-306 32” x 19” Travels, 10,000 RPM, Swing Arm ATC, Hitachi 1997 Hitachi Seiki, HT Hitec-Turn 20S III /Super Production Turning Cell, HDS3006HL Hitachi Seiki Control, 10 Tool Turret, Programmable Tail Stock. Ramco Ramco, Horizontal Band Saw, 12” Capacity, Wet, Hydraulic Bow Control MCRS 90 P5 Craftsman 5HP Vertical Air Compressor,2 Stage Reciprocating Bridgeport, Vertical Mill, 2 HP Variable Speed Head, 2 Axis DRO, X Axis Series I233738 Power Feed. Clausing Colchester, Gap Bed Lathe, 17” Swing, 60” Centers, 5C Lever 80 52 7 0 0 1 4 0 2 8 9 9 Action Collet Closer, 12” 3 Jaw Chuck, Quick Change Tooling, Travidial. 3) Twin Wheel Grinders 8” Craftsman Twin Wheel Grinder 6 ” Black & DeckerTwin Wheel Grinder 8’” Twin Wheel Grinder Floor Model Drill Press 1/2” Capacity Surface Plate on Stand 24” x 30” with 24” Mitutoyo Dial Height auge Quality Controll Instruments, Callipers, Mics, Gages, Inspection Tooling, Hand Tools, and Support Hitachi 1997 Hitachi Seiki, HT Hitec-Turn 20S III /Super Production Turning Cell, HDS3006HL Hitachi Seiki Control, 10 Tool Turret, Programmable Tail Stock.